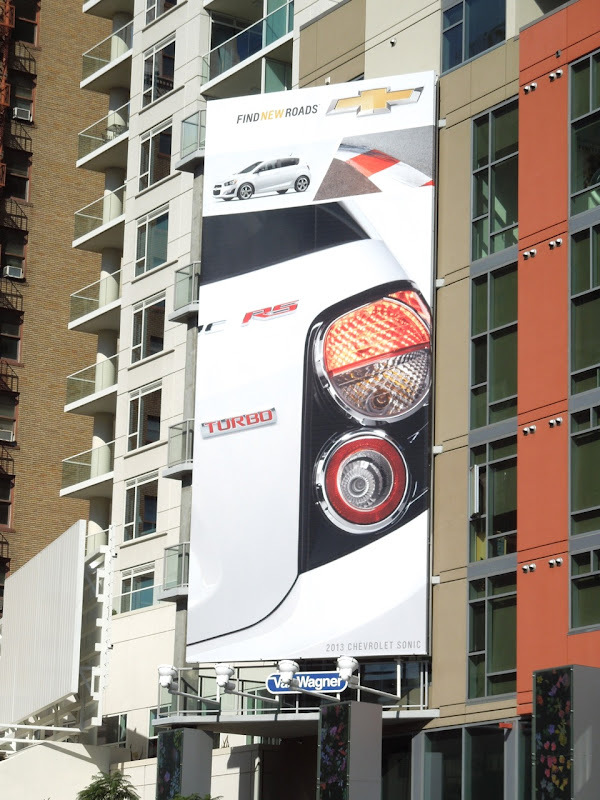 Another day and another car advertiser showcased here at Daily Billboard, what's happening?!? 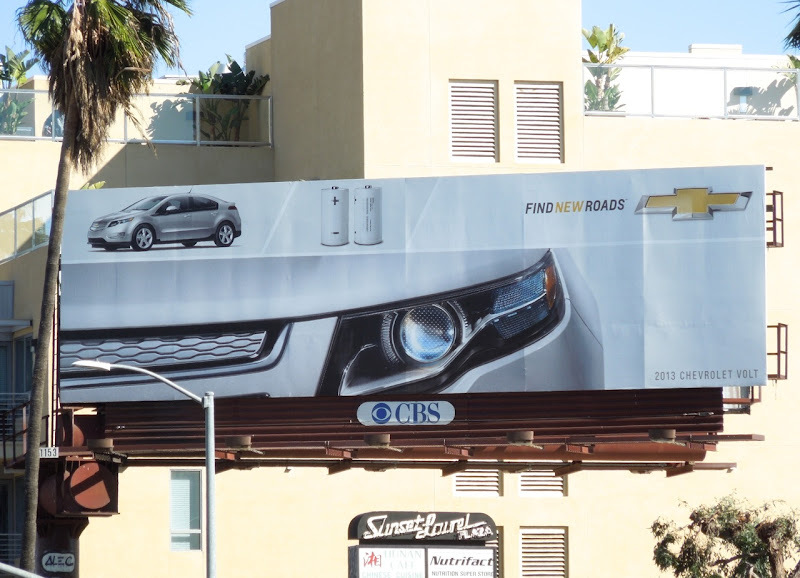 Usually it's hard to find a car manufacturer who doesn't rely on a simple product shot of their latest models, so it's nice to see that the not only the Mazda6 could be innovative with its clapperboard billboard, but that Chevrolet could fill the skies with some interesting ads for its most recent offerings too. 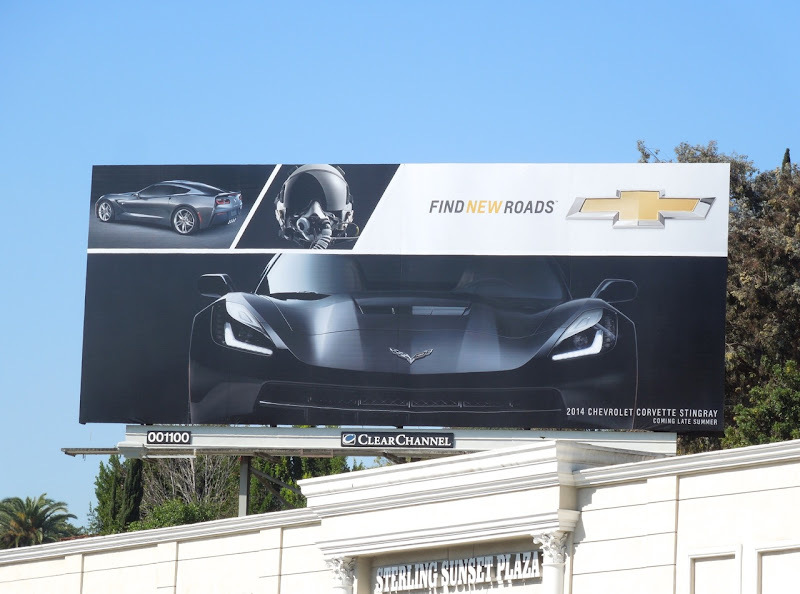 Daily Billboard loves that this 'Find New Roads' campaign shows some of the inspiration behind the design features of their new 2014 Chevrolet Corvette Stingray and 2013 Chevrolet Volt, as it makes for much more interesting visuals. 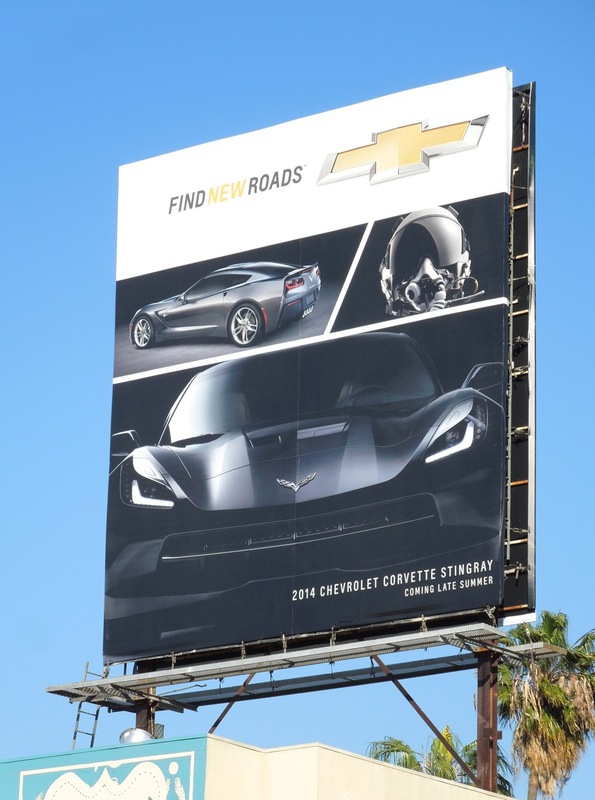 These cool new Chevrolet billboards were snapped along Sunset Boulevard and Beverly Boulevard from February 9 to February 22, 2013. UPDATED: Here's another billboard format and creative for the 2013 Chevrolet Sonic edition, spied along Vine Street in Hollywood on March 9, 2013. 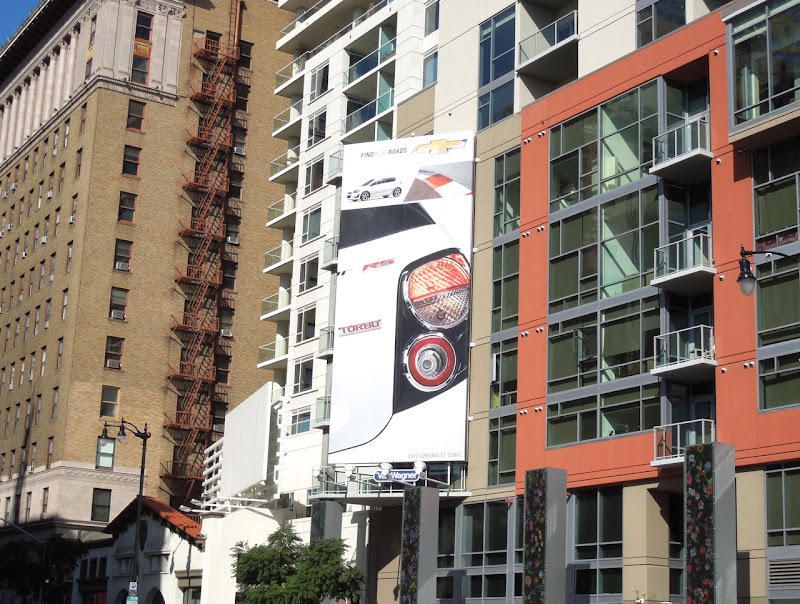 These images better illustrates how good the white creatives look in favourable lighting. 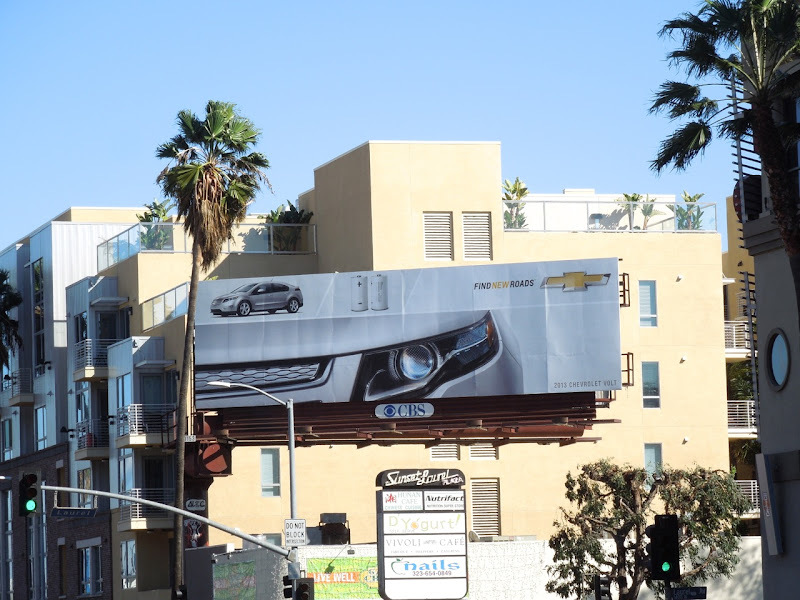 UPDATED: Car manufacturers are notorious for having big advertising budgets, so it's no surprise to see Chevrolet continue to support its new ad campaign with a giant-sized billboard along L.A.'s Sunset Strip. 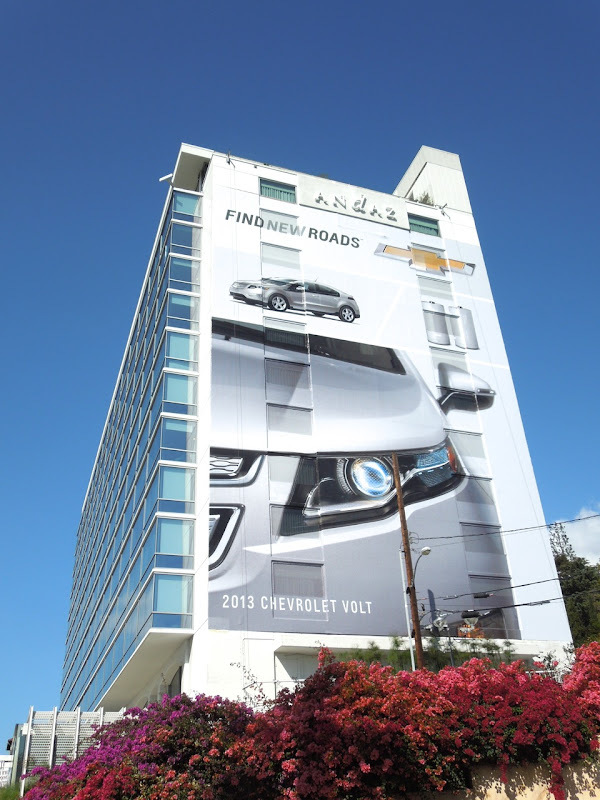 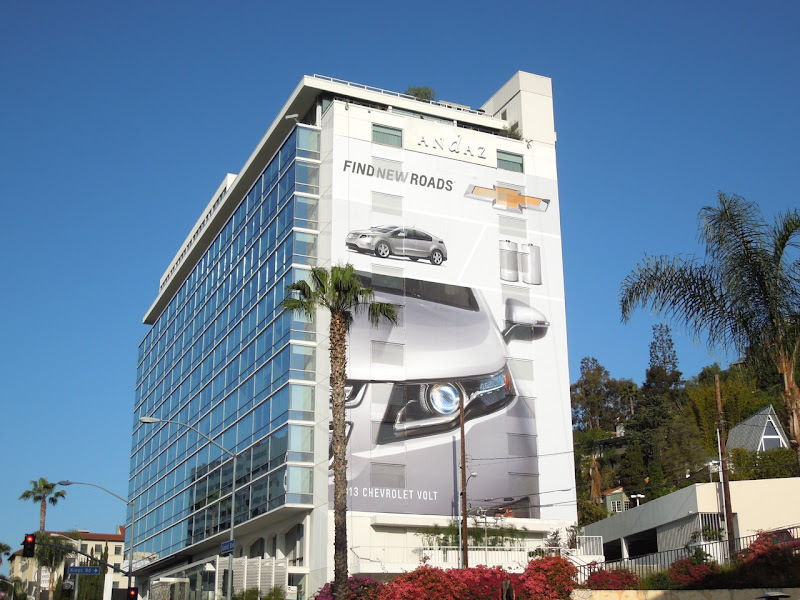 This super-sized creative for the 2013 Chevrolet Volt was spotted on the side of West Hollywood's Andaz Hotel on April 8, 2013. 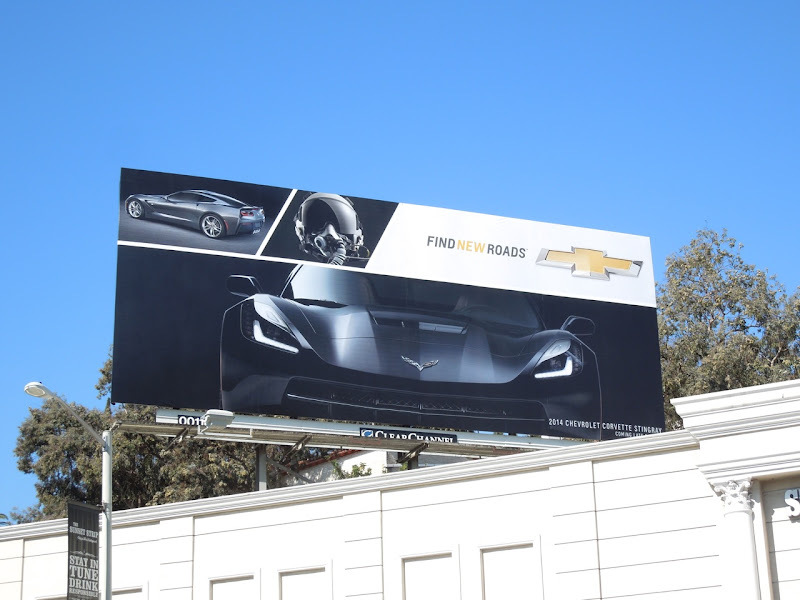 The sleek and stylish ad design looks even more impactful on a larger canvas and is in a great location along this busy commuter corridor. 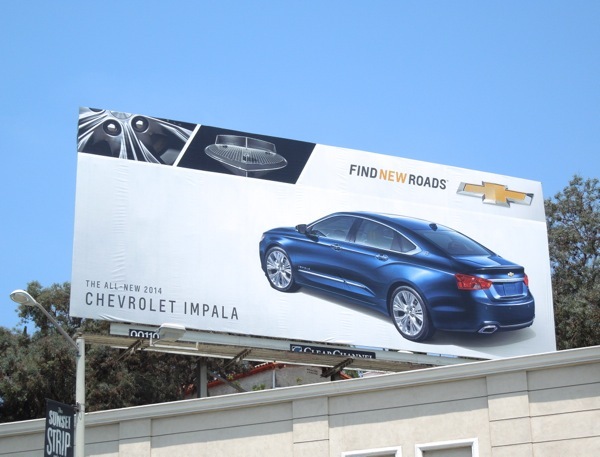 UPDATED: Here's a new addition to the Find New Roads campaign for the Chevrolet Impala 2014. 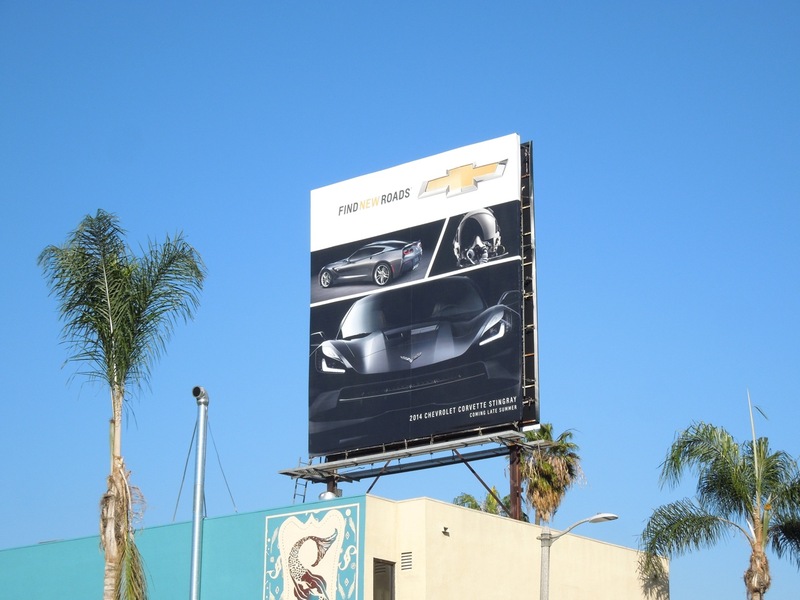 This car billboard which seems to be inspired by the sleek design qualities of a yacht, was spotted along Sunset Boulevard on June 8, 2013. 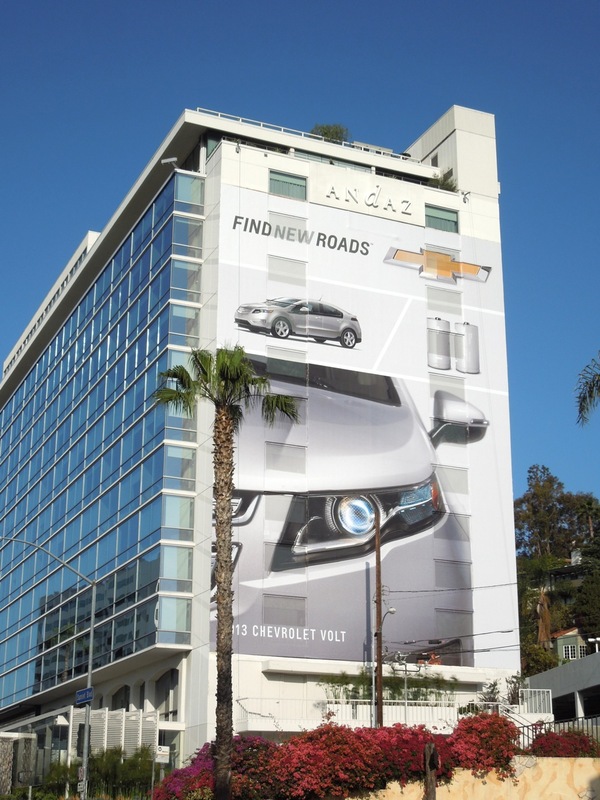 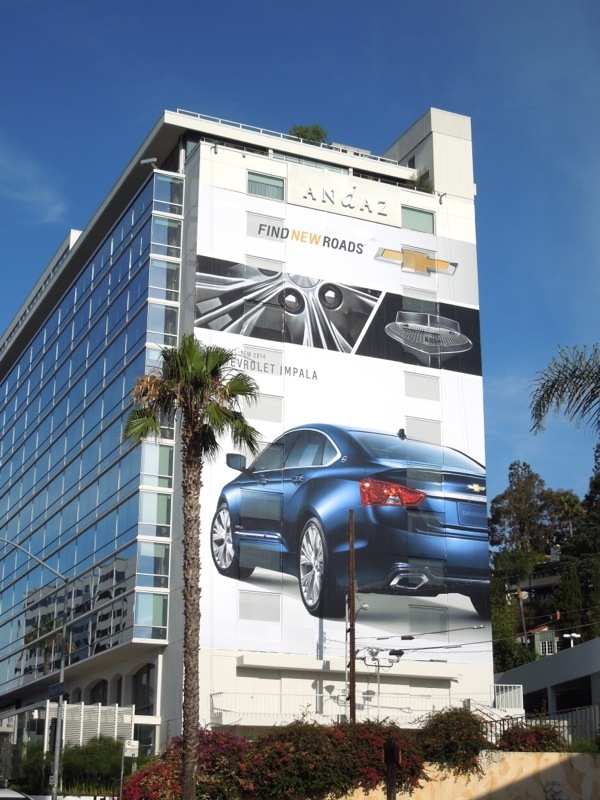 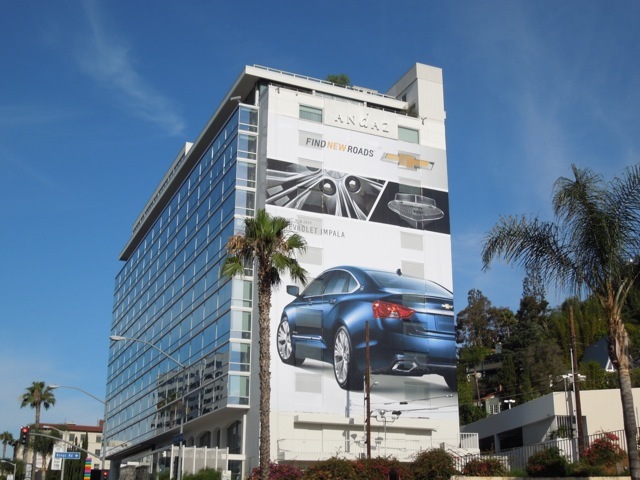 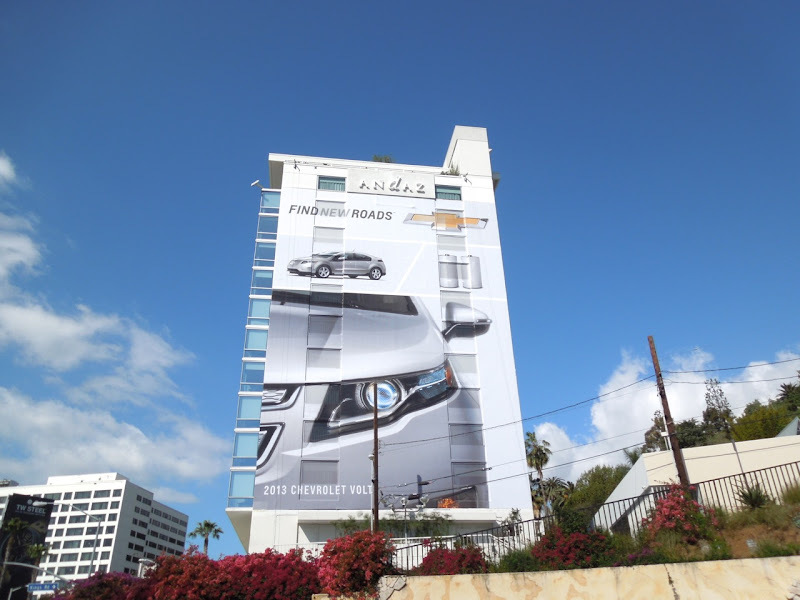 Plus this new giant-sized billboard ad has popped up for the Chevrolet Impala, spied on the side of the Andaz Hotel in West Hollywood on June 11, 2013.